You know the saying, saving the best for last, well that is exactly what happened for me this past year. My last race of 2014 was a 15km skate individual. This was the first time I had raced a 15k and it went as well as I could have hoped. I not only won the U23 category which secured me the U23 World Championships pre-qualification spot, I also took the top step of the Senior Women’s podium! This was my first NorAm victory, one of many to come I hope. I led the field from the first lap and I focused on keeping my technique strong in the soft snowy conditions. I was delighted to find that one of my new pairs of Fischer skis are absolutely amazing in soft conditions. 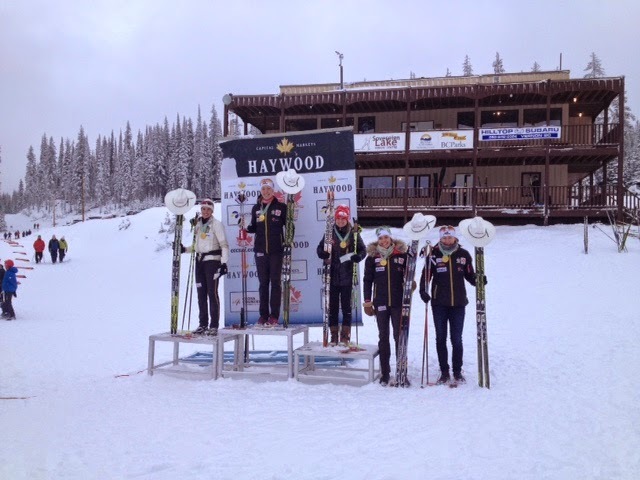 Typical podium shot, lots of cowboy hats up there! With 2014 in the books I am now looking forward to an exciting 2015 season. 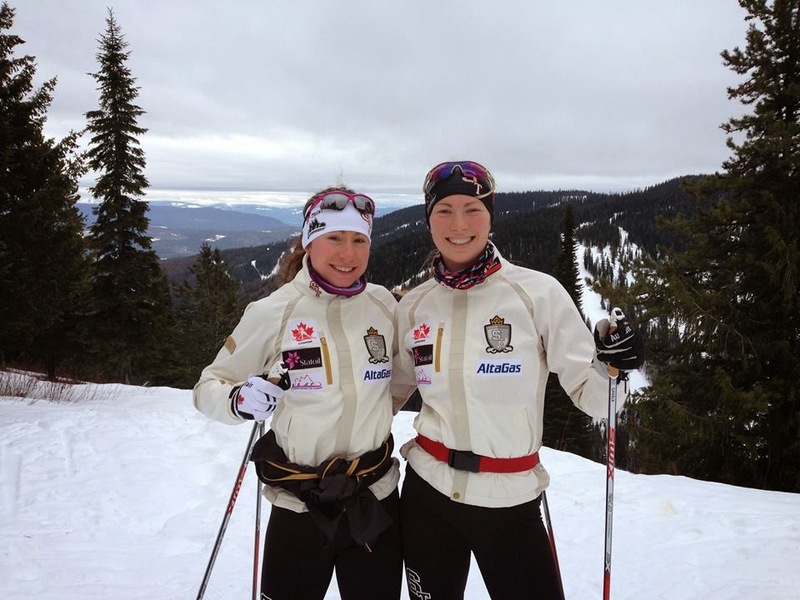 I will be traveling to Almaty, Kazakhstan on January 25th to compete at the Nordic U23 & Junior World Championships along with my Whitehorse teammate Annah Hanthorn. 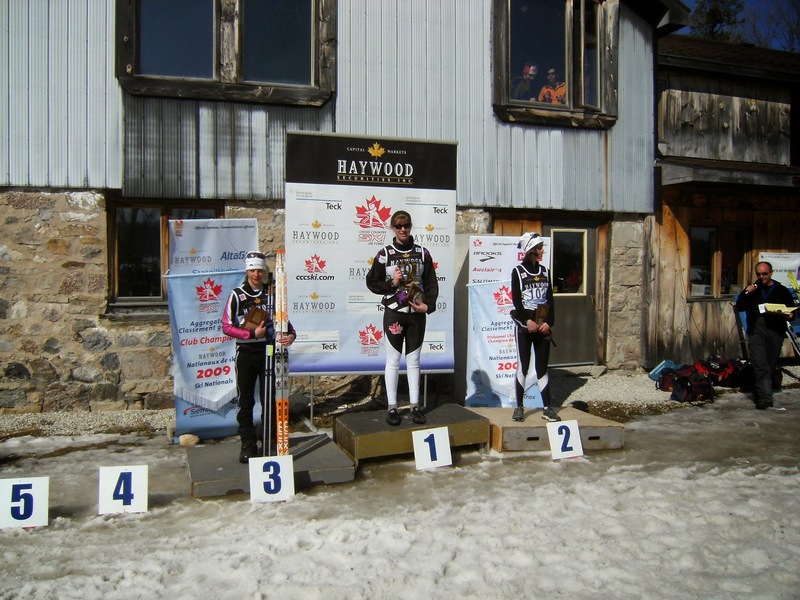 Annah qualified in the junior category after having an amazing string of early season races in Rossland and Silver Star. Go Team Yukon! Almaty is 13 hours ahead of Canmore (MST). The currency is the Tenge and they speak Kazakh and Russian. Before I leave for Europe, correction… before I leave for Asia, I have two exciting weekends of racing here in Canada. 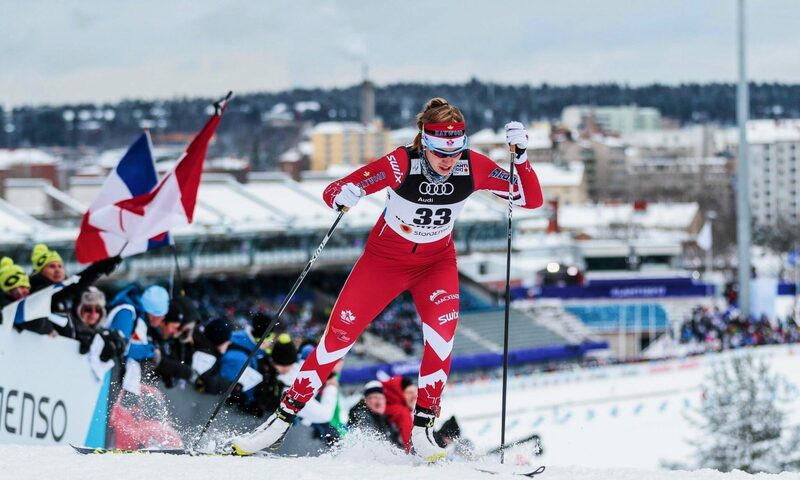 Next week we travel to Duntroon, Ontario for NorAm races which are trials for various events including the selection of the the final 12 spots on the World Junior/ U23 Team that will be joining me in Almaty as well as selection races for the next period of World Cups. 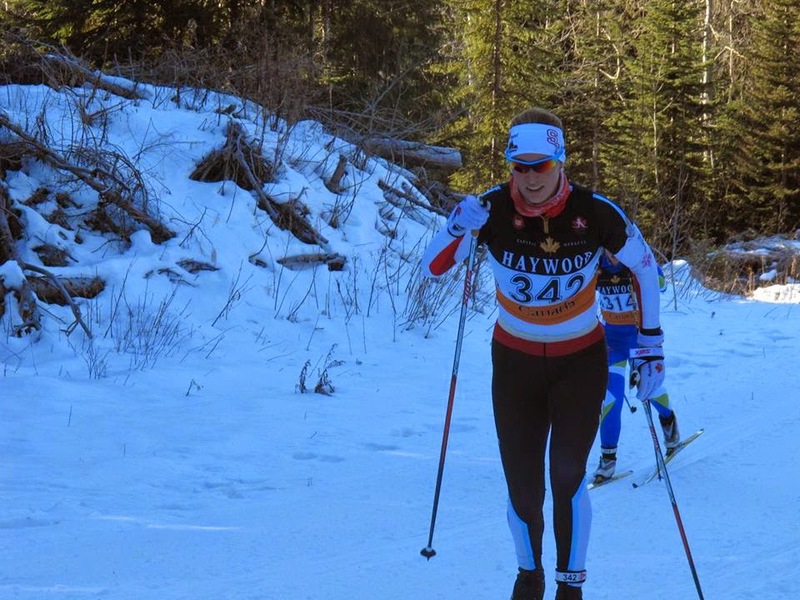 Duntroon Highland Nordic was the site of my very first National Championships back in 2009, so I am excited to return to the site as it holds so many great memories from the beginning of my competitive career. 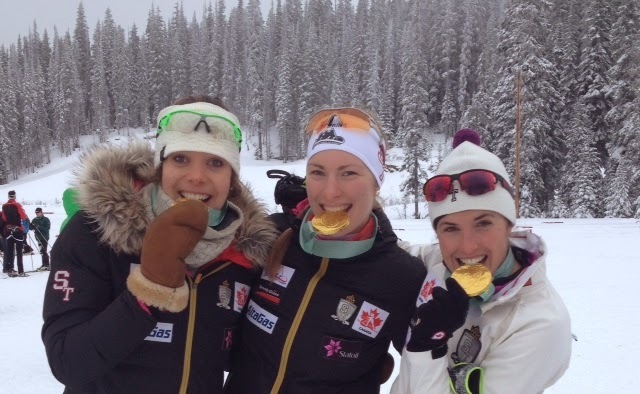 The following weekend we are back home to Canmore for the Western Canadian Championships (Jan 15th-18th) which will include a test race at Lake Louise for next winter’s World Cup. As I look outside right now the wind is gusting and flurries are trying to reach the ground. After having a bit of a break over Christmas we fit in a Team Sprint time trial today with U of A and Foothills before it is supposed to turn cold here again tomorrow. The sprint was lots of fun and a good hard workout to get me set for next week’s races. 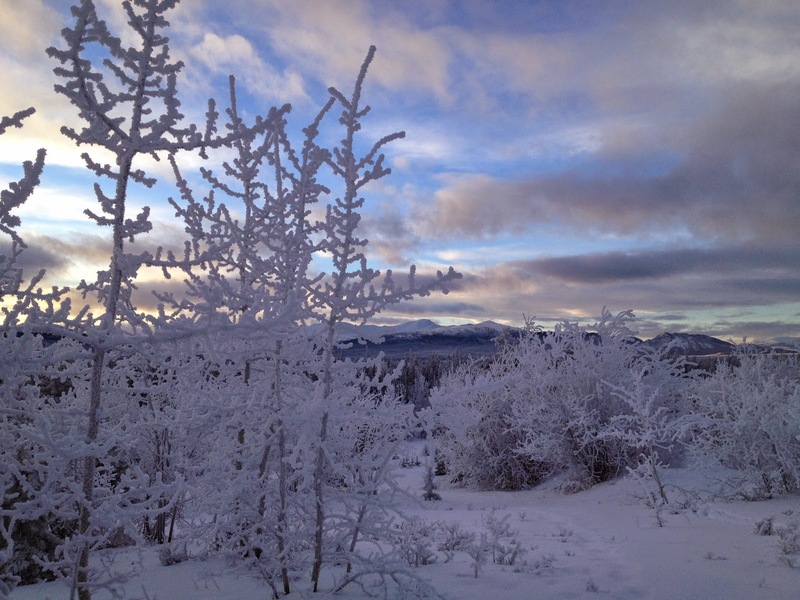 I feel re-energized and ready for the second half of the race season after having spent 9 days in Whitehorse over Christmas enjoying good skiing, good food, friends, family and great weather. 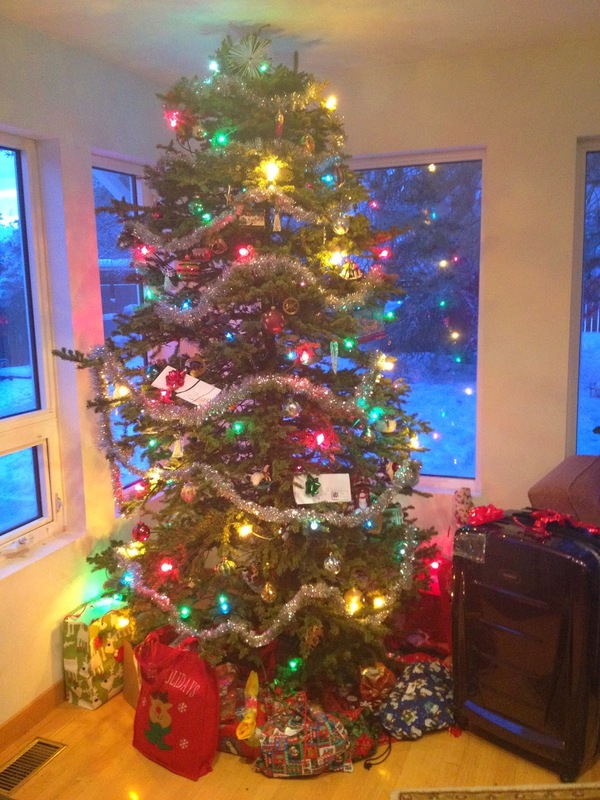 My sister found us a great looking tree this year! Thank you to my support system for making 2014 my most successful and more importantly most enjoyable year of racing thus far! A huge thank you to Skookum Asphalt, Capital Helicopters, Alkan Air, Icycle Sport, Rancho Vignola, my parents, grandparents, my adopted family the Davies, Sport Canada, the Yukon Government, Fischer-Lanctôt, Cross Country Canada, Cross Country Yukon, the Alberta World Cup Society, Whitehorse Cross Country Ski Club and especially to my coaches and teammates for believing in me and helping me chase my dreams. My accomplishments have been thanks to you all and I can’t wait to discover what 2015 has to offer.